BEENIGMA REVIEW- WHY I DON´T DO IT! Let´s get into the reasons, why I don´t believe in Beenigma. I think it is very suspicious, that you are not able to find an official list of ingredients on their website. They scream all over the page, that the cream contains bee venom and manuka honey- but where is the list of ingredients? Thanks to google, I was able to find the complete list of ingredients, but just because a thoughtful Amazon customer bought the product and uploaded the list. 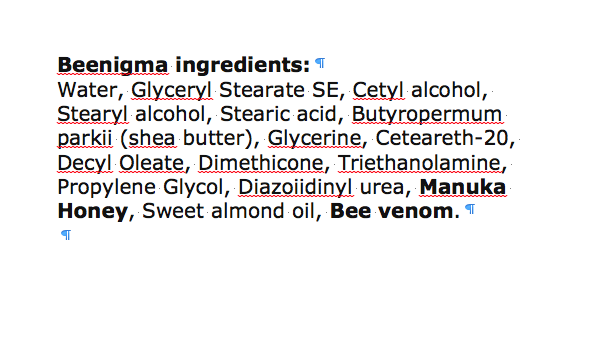 As you can see: bee venom is listed as last ingredient- meaning that there isn´t really much of it inside. 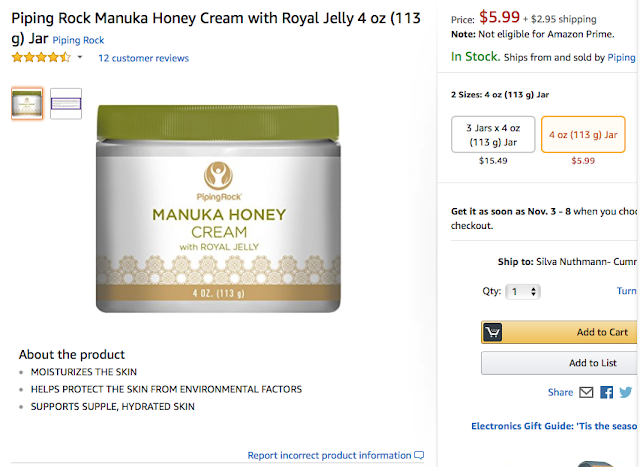 Manuka honey is listed also very far at the end. You know that the ingredients, that are listed first, are the ones that are the main ingredients of the product- the further back the ingredients stand, the less of it you will have inside. 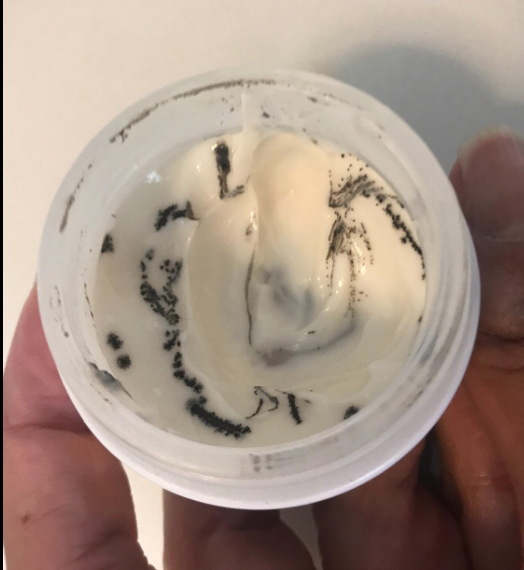 Beenigma wants $130 for this cream! Did you hear that? $130!!! Are you freaking kidding me? They claim that this cream is so expensive, because of the ingredients. You know, the bee venom and the manuka honey we just spoke about? Those that we don´t even know how much of it is inside? Anyhow, this does not makes sense to me and I will tell you why! 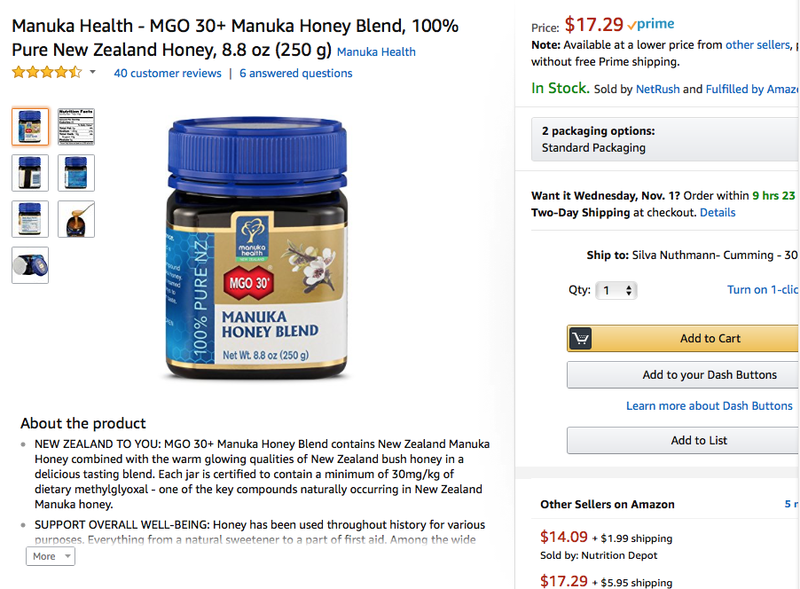 You can buy right now a nice jar of manuka honey for $17.29 on Amazon. That is a full jar of 8.8 oz! Not 0.1 mcg (or whatever the amount is beenigma puts into their cream). Oh, but you think it is the bee venom that might be so expensive? Not the case. Here you go! 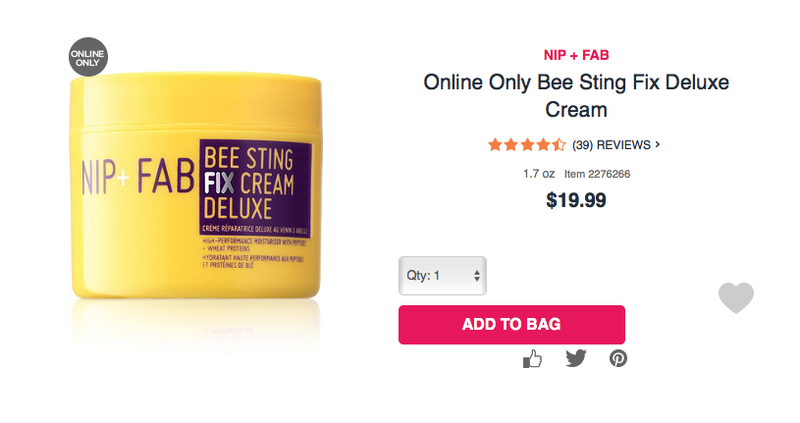 Nip & Fab has a moisturizer that contains bee venom for $19.99! Bottom line: $130 is just not justified. 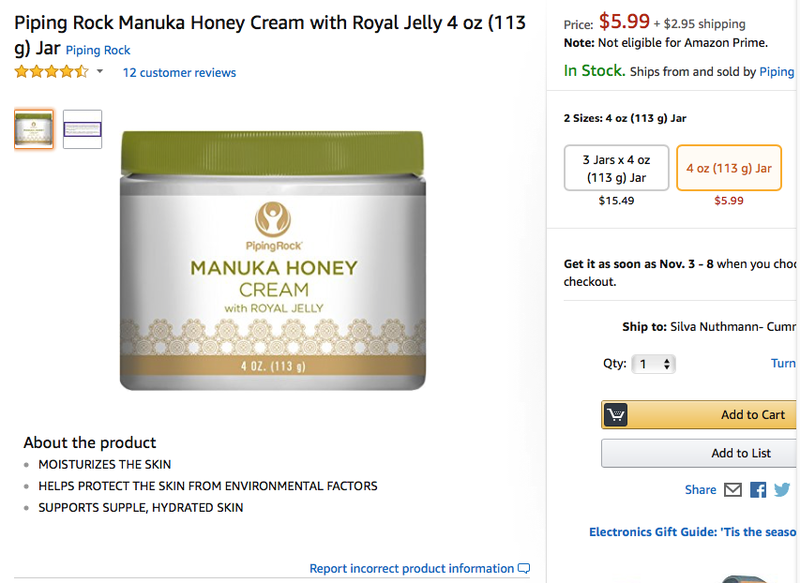 Manuka honey is not THAT expensive and other products that contain bee venom are cheaper. Another misconception is that Beenigma is made in New Zealand. Nope. It´s not! The manuka honey is- but that is about it. You won´t really find where it is made in, but my suspicion is that it is from South Korea. You know, I have no problem using a product from South Korea- but why are they hiding it? Sorry, I find this suspicious! Here is my next problem: I have found no scientific evidence whatsoever, that bee venom is in any way wrinkle reducing, if topically applied! 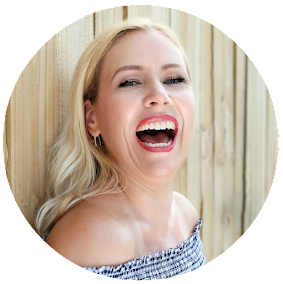 I searched the Internet back and forth and what I found, was an interesting article by the Beauty Brains- where real scientists answer real beauty questions. 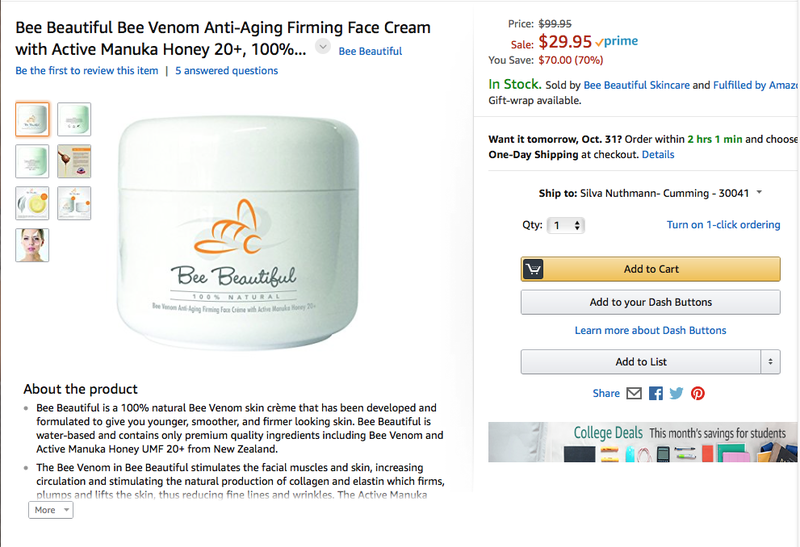 "Is bee venom a good skin care ingredient? Does it penetrate? Sure it does…when you get stung by a bee. But I couldn’t find any clear evidence that it penetrates when applied topically. There are studies on bee venom as wound healing agent but of course open wounds are NOT the same as healthy intact skin. So that doesn’t tell us much. We can infer it penetrates based on some of the efficacy studies we’ll discuss in a moment but it certainly is not a clear cut YES. Is there a mechanism to describe how bee venom could theoretically reduce wrinkles or improve the appearance of your skin in any way? Again, this is murky at best. Bee venom does have some anti-inflammatory and analgesic properties and it’s been used for conditions such as rheumatoid arthritis, multiple sclerosis, Parkinson’s disease and even cancer. But this has little to do with skin. Bottom line is: There seems to be a CHANCE bee venom may be helpful in treating acne, but we have data showing how it compares to conventional treatment like sal acid or B.P. There seems to be even less evidence that bee venom has any reliable anti-aging properties." Oh, btw: though I have never tried the Beenigma cream for myself, I have tried a cream that contains also bee venom by Rodial, that costs even more! $155! Can you believe it? I used the whole tube, and while I can say that this is a beautiful hydrating lotion- I definitely did not see any miracles on my wrinkles! OMG! You guys, please go on the QVC website or the Amazon website- lately there have been people complaining about mold, that popped up after around 2 month. One customer uploaded this picture. Yack! You know, I take those with a grain of salt. You have to know, that bigger YouTubers (let´s say they have more than 50k subscribers) get paid as much as $1000 for their favorable review from platforms such as Famebit. $1000 ... easy made money! All you gotta do is: like it! ;-) YouTubers rave: "Miracle cream", "Botox in a jar", "Best wrinkle cream". 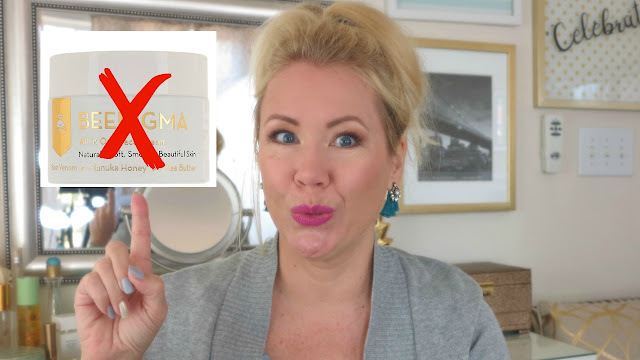 But wait, there is more: YouTubers use Affiliate links (easy to recognize because they will always have 20%-50% -cough Tati- off links for you) and they get $30 per jar. How do I know? Cause I was offered the same. You know, I use Affiliate links myself (where I earn pennies!!! )- but nowhere do you get $30 PER SALE! This is a crazy high commission! In fact, this incentive is so high, I am afraid it pushes YouTubers do really "sell" the product to their viewers. Imagine you find only 10 people who buy it! That makes $300 commission for you!!! Crazy! While smaller Youtubers don´t get paid $1000 for their review, they still get paid the crazy high commissions. I feel a little awkward because I know many ladies that did this, but I still feel like it is not right. 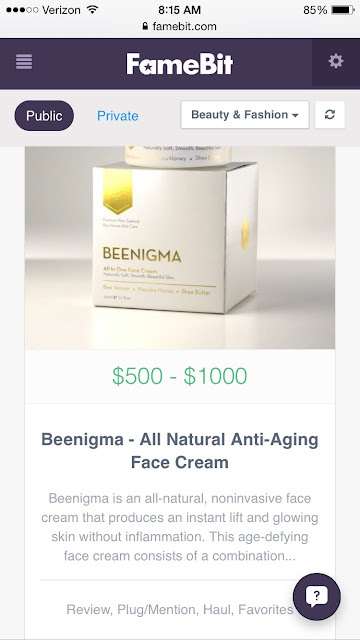 No, I have never tried Beenigma, but like I said: I do not believe the price is justified, the ingredients are not that expensive, you can buy similar creams for less money and I found no scientific evidence that bee venom topically applied is wrinkle reducing. I believe that- at best- this might be a good moisturizer ... that costs too much. Just my 2 cents. Have you tried Beenigma? Love it or hate it?